If you’re one of those people that think of economics as the "dismal science," or that economics has nothing to do with a person's day to day Christian life, you’re about to have those views challenged. Listen to the first of this two part fascinating conversation on the intersection of Christian faith and economics, as Scott interviews theologian, Dr. Brent Waters. 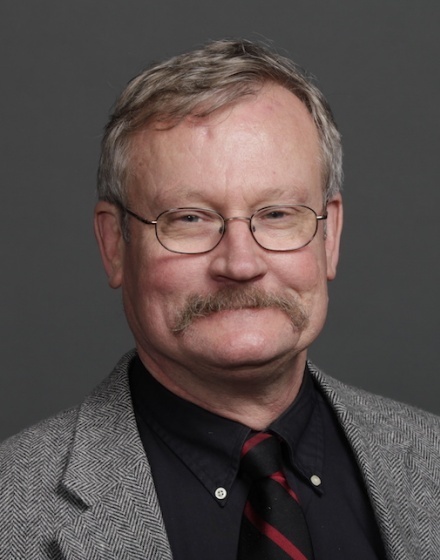 Dr. Brent Waters is the Jerre and Mary Jo Stead Professor of Christian Ethics at Garrett Evangelical Seminary in Evanston, Illinois, and Director of the Stead Center for Ethics and Values, also at Garrett. He is the author of several books on the connection between Christian faith and bioethics/technology, as well as his most recent book, Just Capitalism: A Christian Ethic of Economic Globalization. Scott Rae: Welcome to the podcast, Think Biblically: Conversations on Faith and Culture. I'm your host Scott Rae, Dean of Faculty and Professor of Christian Ethics at Talbot School of Theology at Biola University. Scott Rae: We're here with our guest, my good friend Dr. Brent Waters, who is the Stead Professor of Christian Ethics at Garrett-Evangelical Seminary in Evanston Illinois. He's also the executive director, is that the title? Scott Rae: Chief honcho. Grand Poobah. Scott Rae: Of the Stead Center for Ethics and Values at the same institution. Brent is a prolific author. He's probably the most insightful Christian theologian I know about matters having to do with the intersection of faith, medicine, technology and culture. Scott Rae: Brent, I so appreciate you taking time to be with us on this, and we look forward to the conversation here. You've spent most of your academic life as a theologian working on sort of the intersection of bioethics and technology. 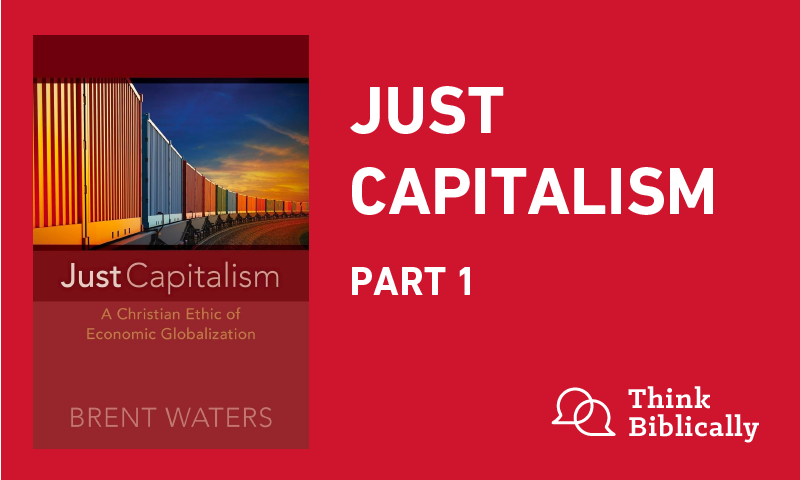 What has prompted you in this latest foray that's come out in your book titled Just Capitalism, where you fully tackle the intersection of faith and work and economics together. What's prompted the shift? Scott Rae: I'm interested to hear the because. Brent Waters: Because what he did for his employees. What he did for his customers. What he did for the community. He was a tireless worker and contributed back to the community. I remember one Christmas Eve night, he was late for dinner because at the last minute an order had come in for a customer who really needed something, and he delivered it personally to her doorstep. Brent Waters: It was just this dedication in it and that really destroyed for me the myth that business people were just hard-nosed, driven people. Now they are human beings who love their community, they love their families, they love their employees. So that merged over into the professional work where I spent most of my life in the academy where business oddly enough is usually disparaged. Even people who hold endowed chairs, which I find somewhat biting the hand that feeds you, and just off the cuff remarks. Brent Waters: I decided I wanted to write a book that was partly to say, "It's not as nearly as bad you think. In fact, there's a lot of good out there". That's why I begin the book in praise of economics and business rather than beginning with the criticism. Brent Waters: Does that mean there's things that need to be criticized? Sure, but let's at least admit at the very beginning, if it wasn't for business and commerce and economics, you and I would not be flourishing. You and I certainly wouldn't have the luxury of teaching. Scott Rae: I find it ironic, as you mentioned, you have colleagues and other endowed chairs who think profit is evil. Scott Rae: And then the rejoinder to that of course is? Brent Waters: Then you need to resign. Scott Rae: Sorry, because where do you think the money for your endowed chair came from? Scott Rae: Yeah and when you suggest they resign that's usually not well received? Brent Waters: That's kind of a conversation stopper. Yeah and we don't go on from there very far. Scott Rae: You indicate in your book, and I love your honesty and your sense of humor for most of us don't know you like I do. But, I so appreciated your dry-biting sense of humor. The way you approach life and sort of this tongue in check fashion. It's actually so refreshing. Scott Rae: And you indicate in your book that you've probably alienated through where you stand, most of your friends on the left and most of your friends on the right. Why do you think that is? Scott Rae: Did anybody call you a sellout? Brent Waters: No. One friend, who's still speaking to me, but he called me Darth Vader. So there was that. What surprised me on the right, and I think it's because I didn't anticipate the election of 2016 was going to turn out the way it did. Scott Rae: Join the club. Brent Waters: Yeah. I been ... Probably the harshest criticisms have been from strong supporters of President Trump because I'm not sufficiently nationalistic enough. That I'm in favor of what they say is globalism. I don't think it is globalism. Globalization isn't synonymous with globalism. Scott Rae: How would you parse out the difference there? Brent Waters: Oh I think you parse out the difference the same. Look, I think global open trade is fine. I don't think that necessarily means that there's no place for the nation state. Of course, you're going to protect your borders. If you can't protect your borders, you're no longer a nation state. Brent Waters: And there may for some reasons, often I would disagree with those reasons, but I think there's sometimes reasons why you might say, “We're going to restrict certain forms of trade”. Again, I don't see anything wrong with that. But, it may be that you forsake certain kinds of prosperity and in doing so, but that's a political decision and that can be made. Brent Waters: So, I think to be in favor of globalization doesn't mean you're globalism and you want all nation states to go away. I have no desire to live under the sovereignty of the United Nations. Scott Rae: God. You say it's two and a half cheers for globalization. Why not three? Brent Waters: Well, I think in the first place it's just my disposition. I tend not to really ever say three cheers for anything except for perhaps God and my marriage, but and I'm not quitting the two. But, no, I think part of it is that market capitalism gets a lot right, but that doesn't mean it's perfect. Brent Waters: I think that market oriented capitalism doesn't do a very good job with helping everyone compete evenly. We tend ... There's going to be winners or losers in any kind of competitive system and how do you help the loser be able to compete? I think ... So that's part of the reform in these ... I don't think we do a very particularly good job of educating people to participate in the marketplace and we really thought things through, even in the United States, for instance. Brent Waters: I was reading an article recently ... 98% of our high school students are pre-college, but it's estimated over the next 30 years only about 30% will need a bachelor's degree for the job that they're having. So, we have very poor vocational training. For example, in terms of policy, I would have liked to have seen more money invested in community colleges rather than universities because that's really where the job training is. Scott Rae: That and trade and vocational schools and you know, I have a son that went to one of those. I admit, it took some time for dad to get over that he wasn't doing the four year college route. But, turned out what he's done suits him far better than college would have been throwing money away. Scott Rae: So, tell us a little bit more, what's good about market systems? Brent Waters: Well, I think market systems are good from the standpoint that allows individuals to make their own choices and have they're responsible for those choices. No one forces me to buy products. I choose to buy them and if I make a mistake, then I can't blame anyone unless I was lied to or something like that. Brent Waters: It also gives an opportunity for people to produce and to sell and to help other people. I think it's remarkable to me that we overlook, in terms of love of neighbor, something as simple as exchange. I mean, exchange is a wonderful thing. I get what I need, you get what you need. Provides employment, it provides a lot of good things and primarily everyday we're interacting with strangers and if you look at market economies, they tend to be much more peaceful. Brent Waters: I mean as much as we might decry the competition, I think that competition in some ways keeps people from killing each other as an alternative. And that's not a bad thing. I'd far rather compete with someone in the market than having to fight with them. Scott Rae: Put on the battlefield. Scott Rae: So, market exchange is actually a way of loving your neighbor? Brent Waters: I think so in a [inaudible] way. Brent Waters: Well, okay, let's say ... let's use a kind of not far school example, but typical example because I mean most the neighbors I encounter now I never meet. I think this example may come out of the book, but say one night I decided I needed to buy a new computer so I can continue to write articles and books that are read by a very few people. Brent Waters: I order my computer, takes a few clicks and I'm done. What's I'm not conscious of is that literally hundreds of economic transactions that I've initiated with neighbors around the world, for example, the computer servers may be in Vancouver. Customer review or the reviewing the orders in Dublin Ireland. The basic components, software, hardware are made all around the world, maybe in six or seven different countries. The final computer is assembled in Beijing. Air freighted by a corporation headquartered in Memphis Tennessee. Delivers it to my doorstep. The night that I try to set up my computer, it doesn't work. I call the call center, it's in Bangalore. Brent Waters: Now, literally, I've only talked to one person but I've interacted with hundreds and these are my neighbors. In a global economy, these are my neighbors and I've provided just not on my own, but along with other consumers, their livelihood. Scott Rae: It's pretty clear that you've done good for them by that series of transactions you initiated. That's typically though not the way we think about our neighbors. Scott Rae: Typically, I think we about our neighbors as some somebody whose face we see, whose name we know. Who actually have conversations with. Who we can contribute to their flourishing. Up close and personal. Scott Rae: I mean, I can see some people saying, “That's a stretch to see people in the global supply chain as my neighbors”. Brent Waters: Well, I don't think it is a stretch. This is where I rely on Karl Barth. Where in he has this marvelous distinction between neighbors near and neighbors far. And your neighbors far often times are simply anonymous. Now, that doesn't mean you don't need nearby neighbors that you're more familiar with, and I think there's a part of the economy that's very good. Brent Waters: A second example that actually did happen, was I go to this barbershop that runs by a few middle-aged women and they don't take credit cards. Well, one day I go to pay and there's no cash in my wallet. So, I offered to leave my mobile phone hostage as I go get cash and pay for my haircut and the barber said, “No, the next time you drive by, just stop by and pay me”. Brent Waters: No, they weren't interested in any of that. But, I thought, okay. There's something really good about that. The face-to-face. They know I'm a professor. I'm absentminded. This is plausible that I'm not trying to stiff them. Brent Waters: Now, I thought, “I'll try that with Amazon next time and see how far that gets” and that's not going to work. There's different levels, but I think you need both. It's not either or. It's both ends. Scott Rae: And I think you know we shouldn't underestimate the fact that the folks who run that hair salon, they know you, had a long history with you and they trust you. Scott Rae: And there are a lot of transactions that would never take place if we didn't trust each other. Scott Rae: In fact, I would have no reason to trust my faraway neighbors in many of these transactions, but it's all premised on trust. Brent Waters: It is premised on trust and I guess what I would like to argue is that we tend to assume that mistrust is normal and trust is not. I think it's just the opposite. Scott Rae: Yeah. I've often said to my own students that trust is the engine that fuels our economic system not greed. Or not even ... I think not even self interest, but it's trust that is the lubricant for that. Scott Rae: The church has had a long history of skepticism about commerce and about the accumulation of wealth. I mean we go back to Jesus' statement that it's easier for a camel to go through the eye of a needle than a rich man to enter the kingdom of heaven. That strikes most people in our modern wealth creating, prosperity bringing economy, as being really harsh statement. Help us understand what Jesus meant by that in that first century setting in which he said it. Brent Waters: I think two things. First of all, be careful what you set your heart upon, and I think what Jesus reminds us is other than God, everything is going to disappoint. That's why in the ordering of our loves, God's always at the highest point. That's the priority of our loves. I think that's a universal and that's a timeless truth. It's a good reminder to, I think, affluent Christians, it's not your faith, your loyalty, your hope isn't placed in material goods, it is God. Brent Waters: But this is also an object lesson on the second level that context isn't everything that context matters. So, you really have to look at what is the context of Jesus' preaching, too; because it's a valid question. Why am I arguing for the good of things like affluence and capital and markets when clearly for 18 centuries Christian teaching was at best skeptical of this and at most vehemently opposed? Brent Waters: Well, the economy is different. For the first 18 centuries it was a zero-sum economy because it was agrarian based. Scott Rae: Explain to our listeners what you mean by that term zero-sum. Brent Waters: Zero-sum means, I win you lose and I win at your expense. Scott Rae: Okay, so there's a necessary connection between winners and losers. Scott Rae: If I get a bigger slice of pie then you get a smaller one. Scott Rae: You've taken it from them and so to balance the scales, you give something back. Brent Waters: But what the industrial revolution, now it all changes. Economies now are no longer zero-sum based. They're based on productivity. You and I ... Now you may make a lot more money than I do. You probably do working at Biola rather than Garrett. Scott Rae: I doubt that. Brent Waters: But anyway, it doesn't mean that you're better off because you took something from me. It just means that for a variety circumstances, maybe you worked harder, maybe you were lucky. But, for a variety of circumstances you're better off, but not because you've impoverished me. And that's what modern economies are based on. Brent Waters: Now that doesn't mean there isn't a list of ethical issues on how money is made in a modern economy, but I don't think you can say, “Okay, these economies are now predicated upon the rich making the poor poorer”. Scott Rae: But isn't that what lots of politicians mean when they say the rich are getting richer and the poor are getting poorer. I mean, don't they mean that the rich getting richer is actually causing the poor to become poorer? Brent Waters: Well, if they mean that then it's either through ignorance or a willful disregard for the truth because that's simply not the case. Now, you can make the case of the gap of the rich and poor is widening and there's good evidence that it is. Brent Waters: But as an ethicist, the question I would pose is, “As long as the floor is rising, does the gap matter”? I think if you're going to argue that if the gap matters it's for other reasons than simply the wealthy are getting more wealthy. Brent Waters: I'm also not sanguine about narrowing of the gap any time soon because of the rate of innovation. Periods of innovation always make wider gaps. Scott Rae: Okay and that goes back to a part of the book that you talked about. You quote the late economist, Joseph Schumpeter, and his well known phrase of creative destruction. We sort of use that example of when cars came along, everybody in the horse and buggy industry lost their jobs and lost their careers and their businesses. And so sounds like what you're arguing is that the creative destruction that comes with innovation is happening so much faster today and it's creating more temporary losers that have to retrain and retool and get themselves into another productive sector of the economy. Scott Rae: But the criticism is that how can this displacement of workers, the loss of jobs, you know some people will ... I mean they will never recover from this. How can that creative destruction on balance be a good thing? Brent Waters: On balance, at a macro level, it is because it generates actually more jobs. It creates and creates in the short-time more opportunity which will then creates it. And I think ... It's almost inevitable because ... Well, let me first of all back up. Brent Waters: In the creative destruction is now you have the winners and losers, but for example, what we don't recognize is that even in those opportunities for some jobs are destroyed and others created is that, for example, since the financial crisis, the relative number of people working in the automotive industry really hasn't changed. Detroit was hit hard, but not the automotive industry. It migrated elsewhere. For example, I own a car that's manufactured in [inaudible] Japan. Now, when I take it in for servicing, as far as I know, there's no Japanese citizens working there. Scott Rae: I don't think so. Brent Waters: And what am told when they offloaded in Long Beach, same thing. It's American citizens that are doing the offloading and delivering. So that actually with a certain decline of some American made, quote American made cars, the void is filled with others, but then creates other jobs because they need dealerships and distribution centers. Brent Waters: The other thing too, it shouldn't surprise us that jobs change a great deal rather rapidly and sometimes we just don't take account of it. I mean it's a silly example, my wife and I started watching on YouTube reruns of What's My Line. You know from the 50s and 60s. What amazes us is how many of the jobs don't exist anymore. They're just gone and they've been gone for a long time. Brent Waters: Now do we want to really go back to an era where there's no calculators, there's no smartphones. I mean all the things you and I take for granted. Probably not. But that means there's certain kinds of jobs will no longer exist because there's no need for them. Scott Rae: And I can see in the long run scheme of things, I don't see us lamenting that those things are gone. So, let's go, you said just a minute ago that affluence is a good thing, and the wealth is created by markets' unbalance is a good thing. Yet, we have a lot of people in our Christian circles who extol poverty as a virtue. Why is poverty seen as such a virtuous thing and why don't you think the scripture teaches that? Brent Waters: That's a fair question and I think some forms of poverty are a virtue if they're voluntary. I think Mother Theresa was a very virtuous woman, but she chose that poverty. I think involuntary poverty just grinds people down and it destroys them because if you're, for example, if you're a single parent, you're trying to put together three part-times jobs to support your children. You don't have time for anything else and you're weary and you're broken and you don't have time to really think of all these things. Brent Waters: One of the things I discovered in writing this book is scripture is quite correct. We do not live by bread alone. But you don't know that until you have more bread than need to eat, and I think that's what affluence allows us to do. We begin to realize there is human flourishing than simply working and being engaged in the marketplace. Brent Waters: But what that affluence allows us to do is the leisure and the time to really pursue those avenues of life: families, churches, voluntary associations, where we flourish. Scott Rae: So maybe Aristotle might have been on to something when he ... although, I'm not wild about how he relegated war to such a low category, but what enables, he saw as crucial to our achieving our end. Scott Rae: Which comes out what economic life was like during that period. So if affluence is a good thing, how do you avoid something like the prosperity gospel? Brent Waters: Oh because your affluence isn't a reward. It's what you're entrusted with, so that if you don't do a good stewardship with the affluence with what you've accumulated, I think you'll be held accountable. I think God will actually ask you, “Why did you just hoard? Why didn't you use your excess for other kinds of things”? Brent Waters: The prosperity gospel I think where it gets it wrong is simply to say, “As I'm being rewarded by God for the good things that I do”. Scott Rae: As a reward for righteousness. Brent Waters: Yeah, because I know a lot of good Christians who suffer. Scott Rae: I know a lot good Christians who are poor. Brent Waters: Yup, that's right. Scott Rae: Now, I think in some cases, they've chosen that. Not quite on the same level as Mother Theresa, but I think part of the reason there's inequality is because people make choices about how they're going to earn their living. I mean, artists. I got several of those in my family. Seminary professors. Others who make choices. I think others just make bad choices that sets them back. Scott Rae: But what do you do with the inequality that's the result of an un-level playing field? Starting point that's different. My kids went to great public schools. We live in an area where the schools are terrific, and my kids got a significant headstart over kids say intercity Los Angeles. Inequality that's the result, not of any choices that are made, but simply the luck of the zip code you were born into. Brent Waters: Despite what the Democratic candidate who came in second place in the primaries in 2016 says, “You go Sweden”. Sweden's a very interesting example because Sweden has the first rate educational system. Through primary and secondary, it's funded entirely through vouchers and it's fierce competition between private, public, for profit, non profit schools. And what determines their success is their enrollment, because if they don't make certain enrollments, they close and this includes a state schools as well. Brent Waters: So they're constantly shifting towards the demands of what the marketplace is and some parents make choices: I want vocational training for my children or I want precollege or whatever. But the keep adjusting to that and I think what you need to do is empower the actual consumers of education so to be blunt, I would as a taxpayer, I would rather fund students and not schools. Scott Rae: And sort of maximize parents' ability to choose so that it forces as much competition as possible. Brent Waters: It does. Yes, it does. Scott Rae: And the education establishment, but I think to see an example of where it works in other parts of the world ... It seems to me that leveling the playing field at the very beginning is the one place where we can fix the issue of economic inequality. Scott Rae: I think it's worth losing sleep about where inequality is the result of injustice. Seems to me as I read the prophets, that's what they railed about most frequently when it came to economics. That the spirit of integration of the poor, when it was the result of injustice, which was the norm in the economies of the ancient world, that's what they got most exercised about. Brent Waters: Yes, but I think that's also interesting and when you look at the prophetic literature, who did they rail against? They usually railed against the king. So that I think that they say, “Okay, it is an injustice for the state to take more than it needs to exist”. Where it takes money to aggrandizement and things like that. Brent Waters: I think it's very interesting in Samuel's warning to the people. He says, “You realize God will give you a king, but then he'll take your sons, he'll take your money, he'll take your crops and now if you still want it, God will give you a king, but this is the price”. And I think that's part of the prophetic warning is that the state isn't necessarily a good substitute for the market when it comes to your well-being. All right. Scott Rae: We just covered part one of your book, that market exchange is a good thing, but there's a but coming. What's the but that finishes out that sentence? Brent Waters: The but is that okay, market exchange is necessary, but it's not sufficient. If you and I want to live the abundant life, it has to go beyond simply exchange, and it's what I call communication. Communication comes from the word [inaudible 00:27:32]. And it can be communicated, or it can be a translated as a community, communion, communicate. Brent Waters: To exchange the goods of creation means, what is yours becomes mine and what is mine becomes yours. But to communicate the goods of creation, is what is yours and what is mine becomes ours. And that's just fundamentally different. Brent Waters: I think communication builds upon exchange it tends to the material well-being of people who'd be engaged in community. But, I think, okay when you ask where do we flourish? Well, I think we flourish in families, in churches, in associations that aren't necessarily driven by exchange. Brent Waters: I think it's very telling that, for example, when you go and take the Eucharist at church, you don't bite the host. You communicate the host. I think it's vitally important to remind ourselves, I mean families would be dreadful places if they were run like businesses. Brent Waters: It's just a bad fit. Scott Rae: I don't like the idea of my kids when they were teenagers thinking that they could fire their parents. That's not a pretty sight. Brent Waters: No, it's not. Scott Rae: So, there's a lot more to human flourishing obviously than just our material well-being. But, without that material well-being, that's presupposed for full human flourishing? Brent Waters: I think so, because if I'm spending all my time either through necessity or greed, going after wealth, when do I really have the time to engage in something I would call Sabbath, which is being in the receptive mode of receiving the good of creation in its totality. Brent Waters: I don't, and I think in the absence of that, we do not flourish. We survive. We may survive very comfortably, but we don't flourish. There again, that's why I think with these associations, like church and families, you need to really protect them from either undue influence by the markets or undue influence by the state. They really are an important buffer between the two, and I'm not sure we're doing as good a job as we can to protect it on either flank. Scott Rae: There's significant place for what Roman Catholics call those mediating structures. Brent Waters: Yeah, yeah, right. Or civil society. Scott Rae: Yeah, that needs to be healthy and nurtured. I think a very stimulating introduction to our conversation on the integration of faith and economics. We've gotten significantly to the part where market exchange is a necessary condition, but not sufficient. Scott Rae: In part two of this, I'd like to explore the not sufficient part of this and we'll take this a little bit further. So, Brent, thanks for being with us on this and thanks for joining us on part two upcoming. Scott Rae: This has been an episode of the podcast, Think Biblically: Conversations on Faith and Culture. To learn more about us and today's guest, Dr. Brent Waters, to find more episodes go to Biola.edu/thinkbiblically. Listen in next time as we invite Dr. Waters back to continue this important discussion. Scott Rae: If you enjoyed today's conversation, give us a rating on your podcast app. Share it with a friend. Thanks so much for listening and remember, think biblically about everything.